Both of those are complex—involving many smaller steps that need to happen in the right order. How do you know what to do first? That’s where the Software Product Roadmap comes in. It’s a scientific approach to developing and maturing your product. For each step of the roadmap, you’ll create a hypothesis, then build an experiment to test it. If you get the results you want, move to the next step. If you don’t, pivot and repeat the step with another hypothesis (or kill the idea altogether). The roadmap will help you start simply and invest the appropriate amount of time and effort on each step. As you progress through the phases, the cost of running an experiment increases, but so does the product’s viability. For each step of the journey, I’ll outline some suggestions about what you should be doing, an approximate budget, and the types of people and/or organizations you should seek out. You have some money and time to get things bootstrapped, but you’ll also be raising money at some point. You don’t have the required skills to create everything yourself. You’re willing to take a scientific approach to mature your product. You’re willing to listen to the market, kill bad ideas quickly, and double down on good ideas. What Can This Roadmap Do for You? In my 15+ years in the software industry, I’ve interacted with a lot of startups across various stages of maturity. It’s easy for an entrepreneur to be “busy” without getting much done. Networking and sharing your ideas can be good, but those activities don’t move your product forward. Scientific, data-driven experiments do. The SPR will help you focus on one step at a time. 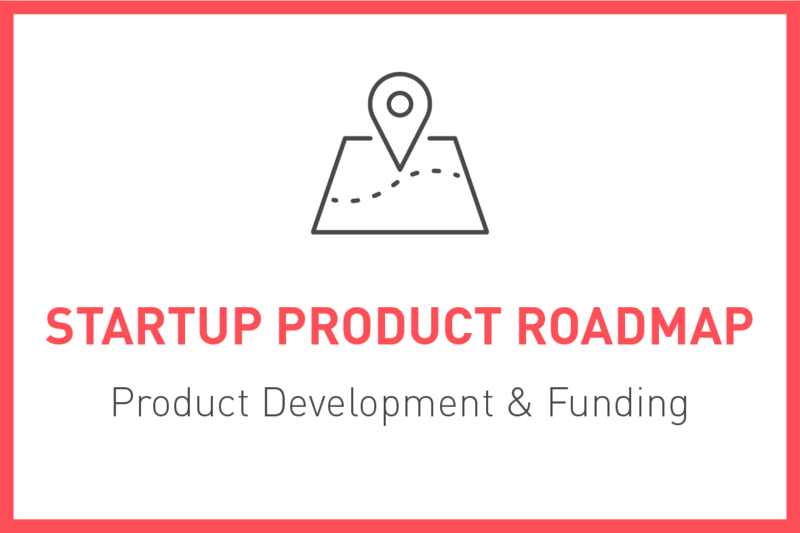 It’ll outline who you need to talk to and how you can test and improve your product idea. Entrepreneurs are always really busy. I want to help you be busy doing the right things. No matter how good your idea is, it still needs work. And now—before you’ve hired software developers at $125+/hour—is the time to make your mistakes. Now is the time to test and refine. 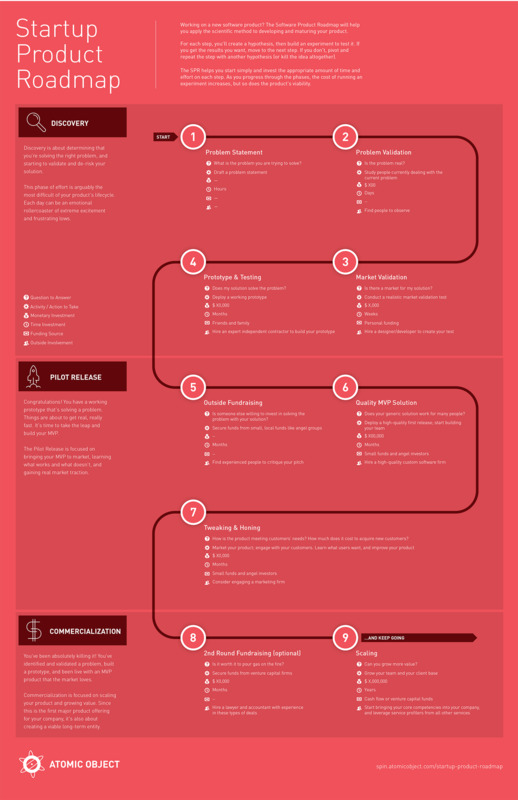 This roadmap is a step-by-step guide to doing just that. 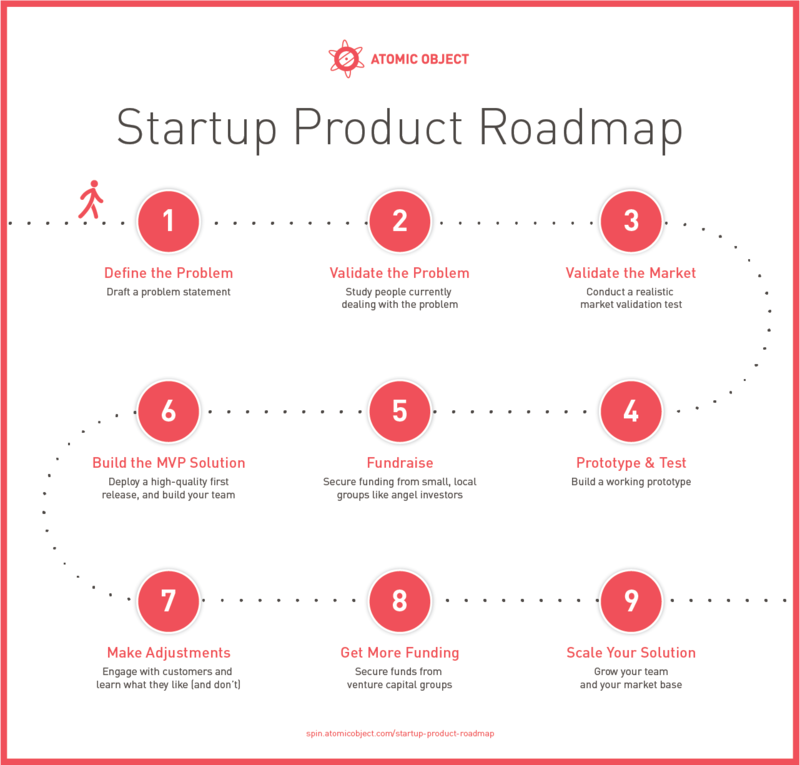 Think of the Startup Product Roadmap as the scientific method for maturing your product. During each step, you create a hypothesis, then build an experiment to prove or disprove your question. If you get the results you want, you move to the next step—testing your next hypothesis with more confidence and a more expensive experiment. If you don’t get the results you want, you pivot and repeat the step with another hypothesis (or kill the idea altogether). The SPR helps you start simply and invest the appropriate amount of time and effort on each step. 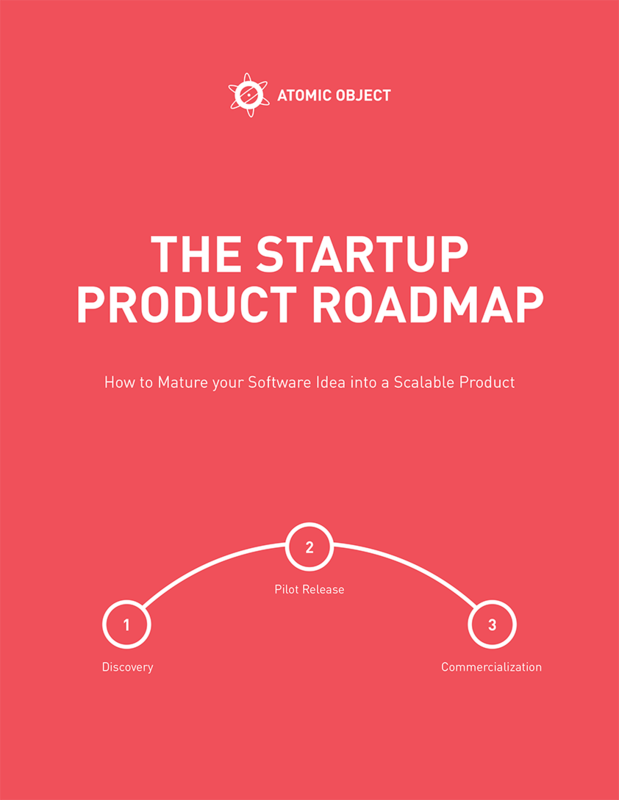 You can also download the Startup Product Roadmap infographic as a PDF. I hope you join us for the rest of the series!